This pretty holder can be used to display soaps and lotions in a powder room or bathroom. Overall, the curio cabinet is a gift that can be used to display all kinds of items! Contents include 160 ml shower gel, 160 ml bubble bath, a 90 ml body lotion bath puff, ribbon, and a hangtag. This gift set moisturizes and refreshes the body and revitalizes the mind and spirit. Treat your special someone to the most luxuriously indulging bath experience! This pretty holder can be used to display soaps and lotions in a powder room or bathroom.. 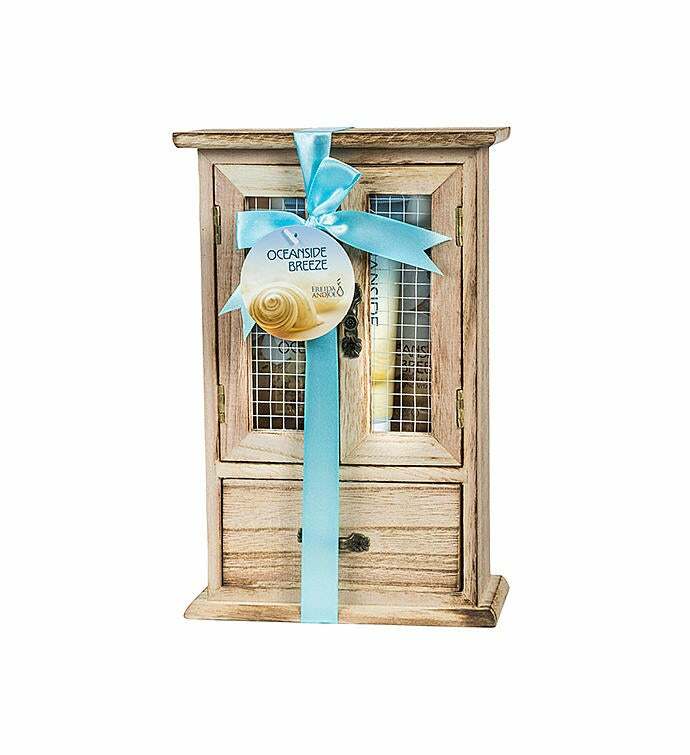 Overall, the curio cabinet is a gift that can be used to display all kinds of items!